You’d be surprised by the effects a beautiful and confident smile can have on those around you. Not only will people see you as more confident and credible, you’ll start to feel as confident about yourself as others do. That’s why your dentist in Alamo Heights continues to provide the highest quality cosmetic dental services it can for patients. When searching for cosmetic work, make sure they are a member of the American Academy of Cosmetic Dentistry. This shows they’ve gone the extra mile to make sure you reap the benefits cosmetic dentistry has to offer. After you receive your new smile, you’ll be more encouraged to smile to those around you, even if they’re complete strangers! According to a survey conducted by the American Academy of Cosmetic Dentistry, 92% of respondents believe a smile is a great way to brighten someone’s day. With this in mind, why not take the opportunity to boost the self-esteem of others? The survey also asked respondents how smiling makes them feel, with 88% saying it makes them feel good! 57% said a smile from a stranger makes them want to smile and 47% believe it elevates their mood. This makes sense since most believe smiling makes people look more attractive to them. Did you know that people find those who smile to be inherently more credible than those who don’t? This will only make getting things you need easier, especially if your job relies heavily on your appearance. If you are a model for example, it could give you the opportunity you need to move up to higher opportunities. Plus, when you get the courage to ask for an opportunity, you’ll have the confidence to ask for what you want. Cosmetic treatments like porcelain veneers and teeth-whitening have come incredibly far, so improving your appearance has truly never been easier. Not only can your appearance be improved but some treatments can actually improve your oral health as well. While many cosmetic treatments are designed to make teeth look better, some can also improve the overall condition of your teeth. A treatment known as bonding, which is normally meant to hide cracks or worn edges, can prevent further wear on areas more prone to damage. This includes the back molars which are very susceptible to continuous wear over the years. Furthermore, a more protected tooth means less chances of bacteria seeping inside your teeth and causing more serious issues. That means you’ll be less prone to infection or other conditions that can affect your overall health. 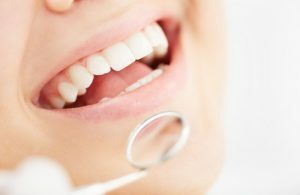 Don’t hesitate to pursue treatment from your cosmetic dentist in Alamo Heights today. You’d be surprised to learn the results a smile makeover can provide! Selsa Adham Gonzalez, DMD, graduated with honors from McGill University in Montreal, one of the top Medical and Doctoral universities in Canada. She completed a residency in Advanced Education in General Dentistry, where she honed her skills on esthetic porcelain crowns and veneers, esthetic bonding, and other dental treatments. To learn more about her practice, contact her at (210) 804-1558 or visit her website.